We here at the Five Ten Twenty Club read way too many blog posts online about the “Top 5 Ways To Save You Money.” (The internet is full of them, and most are eye-catching but not particularly helpful.) While the posts contain a few good ideas from time to time, after a while, most of the ideas in the blogs just strike you as too weird and difficult. We don’t think most people want to be extreme discounters, hand-making everything in their homes for example. We figure most folks just want some reasonable tips about how to spend less doing everyday things, so that they’ve got a little money to put toward their goals like paying off credit cards, putting aside money for a nice vacation or saving for their children’s schooling. Whether it involves rent or a mortgage and property taxes, your home is almost always your biggest expense. According to a 2013 study published by the National Housing Conference’s Center for Housing Policy, the median housing costs for a working renter or homeowner in the USA was $847 and $1,024 per month, respectively–or about 33% and 29% of their respective pre-tax incomes. Since this is likely your biggest monthly expense, any significant reductions you make in your housing costs can save you a lot of money. Choosing where to live is always a complicated decision based on any variety of things like the number of rooms and amenities available in the home, the desirability of the neighborhood (for entertainment, safety, or access to public transportation or quality schools, for example) and the associated commute time to work. If you want to save significant amounts of money each month, you should prioritize affordability when you’re considering a home. Perhaps you don’t actually need so many rooms, such a nice building or such a nice kitchen. Maybe you’re open to having roommates that can help share in housing costs. Be open to downsizing and sharing to save money. Your choice of transportation is likely to be your next biggest expense. According to the AAA, the average sedan costs about $760 to own and operate each month if you drive about 15,000 miles a year. Even if you keep your current car though, you can reduce that cost dramatically by driving less, because the less you drive, the less you’ll have to spend on gasoline and maintenance. Committing to drive less may even help you save money on your insurance, and it can be as easy as reducing your overall travel; carpooling or ride-sharing; riding a bicycle or walking; using public transportation; or renting a car for long distance trips (so that you reduce your maintenance costs and risk-of-accident for your own vehicle). These are all changes that are easy to make from time to time. However, those other Top 5 lists are right that you may also want to consider not owning a car at all. This can actually be pretty easy to do in certain US cities. If my own job was near public transportation, I could take advantage of the subway and bus station near my apartment, sell off my car and then just borrow or rent a car whenever I need to drive outside the area. That need occurs seldom enough, so it could be a great financial decision with little additional hassle at the end of the day. Well, that’s enough for today. While we might have seemed light on specific tips, we more want to encourage you to consider a broader range of options for your home and transportation than you might normally consider. And of course, you’ll need to find the most affordable solution that still works for you and any partner or children that may also be directly affected by any decision you make. But the simple point is that it’s easier to save big bucks by cutting down on your largest expenses. Sure, every dollar adds up – but when you’re talking major costs like housing or transportation, they add up faster. We’ll talk more about this in Part 2. Until then, keep fighting the frugal fight. This is a bit of a feel good story. When BFC Partners, the developers of Jupiter 21, the newly built 12-story, 65-unit residential development located at 21 E. First St. in Manhattan, wanted to develop the property where the now demolished legendary Mars Bar was located, a few residents were going to be displaced. To show good will, BFC Partners granted those long-time residents a generous deal of a life time — to own one of the new apartments for $10. The purchase deal to the 9 lucky residents was that they can rent the apartments out, but they can’t resell them for a profit. That’s pretty good news since studios and one-and two-bedroom apartments are renting from $3,000 to $10,000 a month at Jupiter 21. Another generous aspect to the deal was that the apartments were also purchased tax-free. Residents of Jupiter 21 will have a garden, washers and dryers, hardwood floors, a rooftop lounge, and oversized windows. Altogether, the building has two commercial condominiums on the ground level, 52 market-rate rental units, and 13 affordable residential condominium units. The name — Jupiter 21 — pays homage to the Mars Bar, as “Jupiter follows Mars,” said Donald Capoccia, principal and founder of BFC. When I finally started making enough money to invest beyond my 401K or emergency savings account, I was so excited to get started that I committed the cardinal sin of novice investors: I succumbed to transaction fees. There I was, knowing darn well that transaction fees can seriously erode the value of your investment – but doing it, anyhow. Call it laziness, willful ignorance, or the hazy hope that somehow the rules of investing simply didn’t apply to me. Anyway you cut it, I was shooting myself in the foot every time I clicked the “trade” button and another $7 went out the window. If you think I’m over-reacting, bear with me for a second here as I demonstrate a simple example. Let’s say I invested $100 in stock of ABC company, paying $7 in transaction costs. That would mean the value of the stock would need to rise 7% just to cover the transaction fee. Ouch. I was so eager to invest my money in the market, that after every paycheck I’d do it again, and end up paying too much just for the sake of buying stock or ETFs. After all, $7 here or there didn’t seem like that much money. But my poor little investment account was suffering under the burden of transaction costs. And I wondered why I wasn’t seeing the numbers grow more significantly. This problem isn’t limited to online brokerages or individual investment accounts, either — 401Ks, mutual funds and many other investments carry fees, as well. MSN Money created a chart demonstrating how the simple “little” one or two percent fees many of us pay on 401Ks, for example, can seriously damage your future wealth. For example, a worker investing $5k per year for 40 years into their 401K would have over $878,000 if their fees were 0.5%, but only $475,000 if they paid 3% fees. The first thought that came to mind when I realized how much my investments were struggling against transaction fees was to invest less often, so that I’d have fewer transactions, and save on fees. But that’s not a good solution, because I knew that the time value of money was important — that the sooner I invested my money, the faster it’d grow. Plus, I wanted to invest regularly and “pay myself first”. First, trading on many ETFs is free, depending upon the broker. Charles Schwab, TD Ameritrade, and Fidelity, amongst others offer free trades on several of their most popular ETFs. They’re a good alternative to index mutual funds (such as funds that track the entire stock market, or particular sectors therein). Mutual fund trades can also be had for free, but usually only when it’s the online broker’s own fund. The benefit of this, however, is that it also makes automatic investing possible. For example, you can set up an automatic investing account with Vanguard to invest regularly in Vanguard mutual funds, thereby helping you remove a barrier to investing. While these are great ways to eliminate or significantly reduce the burden of transaction fees on your investments, they do come with a few caveats. You should be aware that in many cases, you’ll be limited to a certain number of transactions per month, making it difficult for you to actively trade or change your positions frequently. You’ll also need to take note of other fees and expenses – such as any administrative costs or processing fees. Fees are fees and they can all eat into your investments. Finally, you should be aware that not every ETF or mutual fund may be available commission-free — and that this may be used to entice you to purchase funds that do carry fees. It’s possible to construct a well-diversified portfolio on commission-free funds, alone, but it’ll take a little research(more on this later). Still, I’ve saved hundreds of dollars in fees and taken some of the weight off my investment account. It’s now climbing the financial returns hill a little more quickly. Have you had success with no-commission funds and trades? Share your experience below! Mosquitoes live in almost every warm part of the world, and during hot summers like ours, they become terrible as they bring bites and welts—and sometimes infectious diseases—to backyard barbeques. 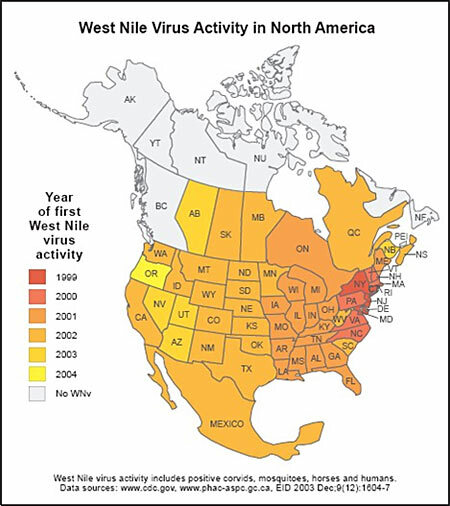 While the threat of mosquito-born malaria has largely been banished from the United States, other mosquito-born maladies like West Nile Virus and dengue fever have begun to appear in parts of our country. It’s no wonder then that there are many products available—from mosquito repellent coils to mosquito repellent outdoor lanterns—to help us avoid these buzzy summer spoilers. With so many options to choose from, it’s hard to know which products will actually work and be worth your hard-earned money. Is it a $10 spray? A $15 candle? A $74 light? A $160 bug zapper? None other than the NY Times has opined on this issue, and this time the American paper-of-record offered a skeptical look at mosquito repellents and instead recommended a cheap trick: a common fan. It turns out that a fan repels mosquitoes for two reasons: 1) mosquitoes will avoid flying into strong breezes and 2) strong breezes disperse the human scents that normally attract mosquitoes. These reasons make sense, and the effectiveness of a fan in deterring mosquitoes has been supported by research conducted by Michigan State University’s Department of Entomology. So while DEET, picardin and lemon-eucalyptus oil are still considered to be among the most effective repellents, you might find that the cheapest way to enjoy being outside this summer is to point a couple of fans where you plan to be and enjoy the breeze! What cheap ways do you use to avoid mosquitoes? Share your tips in our Community Forum or in the comments below! For more information on mosquitoes, their flying speeds and habits and mosquito deterrents, please visit the American Mosquito Control Association’s FAQ site at mosquito.com. When most of us imagine fine dining, it conjures images of romantic dinners and moon-lit tables. But if it’s the food, itself, you’re after, going for lunch can afford you the same meal at a significant discount. Though most restaurants alter their menu somewhat for lunch, many core dinner items are still served (and for about 2/3 of what you’d pay at dinner). The easiest way to ensure you’re able to taste your preferred foods is to examine both the lunch & dinner menus online. By comparing these, you’ll spot which items are offered at both meals. As an example, I recently ate at a highly-rated, upscale Italian steakhouse and paid just $18.00 for a three-course prix fixe meal. That same salad, pasta and dessert would’ve cost me nearly $40 at dinner. A la carte fish, chicken and steak dishes were also about 30% cheaper than the same at dinner. The finest cooking schools (such as the famed Cordon Bleu) often have restaurants or dinner nights open to the public. When I lived in San Francisco, I frequently ate at the Cordon Bleu’s Technique Restaurant, enjoying gourmet five-course meals for about $15. These restaurants feature student chefs nearing graduation, and are overseen by professional chef instructors to ensure quality. The culinary creations of these same student chefs will likely fetch many times as much money once they graduate a few weeks later, so why not take advantage of their “student” status now? Many fine dining restaurants offer prix-fixe and/or specialty weekly meals on slower nights. Dining out on say, a Monday night, can yield some significant savings; your best bet, again, is to check the restaurant’s website or inquire directly about such specials. And in most major cities, upscale restaurants join forces to create a yearly “restaurant week” , enabling locals to sample their city’s fine dining offerings without breaking the bank. Spots get taken quickly, however, so you’ll need to make reservations well in advance – but the savings are usually on the order of 25-50%. One of our favorite hacks for enjoying the city’s best restaurants on a budget involves only ordering appetizers and dessert. We’ve discovered that in many cases, restaurants focus their greatest creative force on these courses, since entrees are usually somewhat more standard affairs. We’ll make a meal of pseudo-“tapas” and share two or three appetizers and a couple of desserts; this usually costs us about $40-50, including tax and tip, and we are able to sample some of the finest cooking in town. A full dinner at a five-star restaurant might have cost twice that. Just don’t. Period. This is where restuarants employ their biggest mark-ups — and where you will part with the most dollars uneccesarily. Focus on the food, and if you must, have drinks somewhere less expensive afterward. Most foodies know of OpenTable.com as a uber-convenient way to secure reservations at the restaurant of your choice. But if you dine out often, consider signing up for their loyalty program; you get “points” toward a free meal with every reservation. Restaurants having a slow night may even offer several extra points, enabling you to accrue a free meal quite quickly. Do you have any other hacks for fine dining on the cheap? Share them below!